109 is a prime number. Prime factorization: 109 is prime. The exponent of prime number 109 is 1. Adding 1 to that exponent we get (1 + 1) = 2. 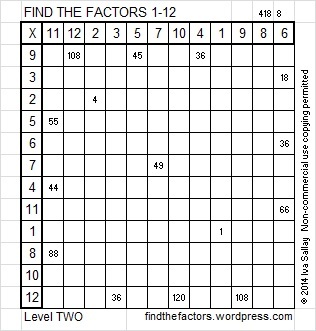 Therefore 109 has exactly 2 factors. How do we know that 109 is a prime number? If 109 were not a prime number, then it would be divisible by at least one prime number less than or equal to √109 ≈ 10.4 Since 109 cannot be divided evenly by 2, 3, 5, or 7, we know that 109 is a prime number. 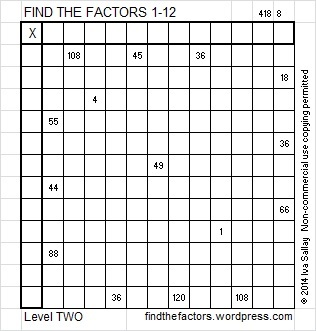 109 is never a clue in the FIND THE FACTORS puzzles.